From the towers of Manhattan to the jungles of South America, from the sands of the Sahara to the frozen crags of Antarctica, one man finds adventure everywhere he goes: GABRIEL HUNT. 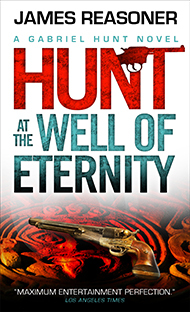 Backed by the resources of the $100 million Hunt Foundation and armed with his trusty Colt revolver, Gabriel Hunt has always been ready for anything—but is he prepared for the adventures that lie in wait for him? "A pulp adventure series with classic style and modern sensibilities...Escapism at its best."